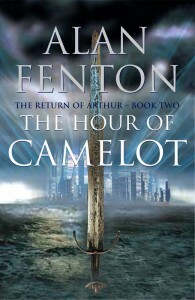 THE HOUR OF CAMELOT The second book by Author Alan Fenton, is as compulsive as the first. A wonderfully entertaining re-imagining of the legendary story of King Arthur that combines enthralling adventure and passionate romance, and in the process touches on universal themes. There were cheers and applause as first Gawain, then Lancelot, ducked through the ropes and danced round the ring, waving to their supporters. Then came even louder cheers and counter cheers, as, to the especial delight of the ladies, they removed their robes, Gawain exposing scarlet shorts, Lancelot royal blue. Physically they presented a great contrast: Gawain short and thickset, with prominent pectorals and biceps; Lancelot, tall and lean, his muscles less conspicuous. Both men, as everyone knew, were extremely fit, both experienced boxers, Lancelot a university boxing blue, and Gawain a former navy middleweight champion. It promised to be an entertaining fight. As the bell rang for round one Gawain caught Lancelot with two straight left jabs, followed by a wicked right hook that knocked him off balance. Dazed and confused, his legs buckling under him, it seemed he must surely go down, yet although he took severe punishment, he was still on his feet when the bell rang for the end of the round. In the second round the match began to swing the other way. It was fighter against boxer, and the boxer was beginning to get the measure of his man. The second and third rounds were Lancelot’s. Gawain was fast and aggressive, and his right hook was a potential match winner; Lancelot, however, was the more skilful boxer and had the advantage of a longer reach. Time and again, as Gawain rushed in, Lancelot caught him with left jabs, then danced away, teasing his opponent into wild swings that rarely made contact. Though he never looked like knocking Gawain out, he was beginning to make him look clumsy, the crowd applauding this exhibition of boxing skill, even though most of them were secretly hoping that Gawain would win. ‘Really, Lanky, you are too much,’ said Guinevere, exasperated. ‘Who do you support, Ginny?’ asked Lanky, a glint of mischief in her eye. ‘Why should I care who wins?’ said Guinevere, her colour high, her breathing fast. Though she might feign indifference, there were some things one woman could not hide from another, especially one who knew her as well as Lanky. The fourth round, too, was Lancelot’s, the fifth shared. That made it three rounds to Lancelot and one to Gawain, with one round even. Only one round to go. Waiting in their corners for the sixth and final round, the two men listened to their trainers. ‘Odds on? I’m a certainty,’ boasted Lancelot. Gawain was in poor shape, his face bruised and swollen, his right eye rapidly closing, the cheek below it badly cut. Everyone in the audience knew that if Lancelot were still standing at the end of the final round, he would win not just the boxing match, but the tournament. They cheered and stamped their feet, many of them, appreciating his fightback, shouting Lancelot! Lancelot! Lancelot! It was music to his ears. True, he had never courted popularity, had in fact disdained it, but he was human. This was a new experience, and he was loving it. Raising his arms high in a victory salute, he acknowledged the applause, so that when the bell rang for the final round he was distracted by the crowd’s adulation, rising from his chair a fraction of a second too late. Charging across the ring like an angry bull, Gawain rocked his head back with a left jab and floored him with a savage right hook to the chin. Lancelot crumpled and fell. The referee stood over him and began to count. The crowd was stunned to silence. Lancelot stirred . . .
. . . pushed himself up from the canvas on one knee . . .
. . . and fell back again. Arms wide, the referee signalled that the fight was over. The crowd erupted, cheering, stomping and waving their arms. Long after the boxers had left the hall, they were still chanting – first Gawain’s name, then Lancelot’s – with cheers and stamping of feet from the two rival camps. Though it might not have been the greatest boxing match anyone had seen, it was certainly the most exciting. Lancelot sniffed. ‘I made it easy for you.’ Zipping up his holdall, he added, ‘A mistake I shall not repeat.’ And with that he stalked out. Arthur was delighted to have the blessing of his old mentor. ‘No less relevant for being old,’ said Arthur. ‘It was not,’ said Arthur. Leo was not persuaded. Being both man of action and man of conscience – a rare blend – was what made Arthur so special, and set him apart from men like Lancelot and Gawain. Yet conscience was a heavy burden to carry into battle, one that could ultimately weaken the arm that held the sword. Though he admired Arthur above all men, he pitied him too, observing in him a reluctant hero, a man of peace compelled by destiny to become a man of war. The second novel by Alan that continues to expand on the modern retelling of the Arthurian myth and one that makes it a great way to learn of the tales in within a novel context. Here Alan’s storytelling expands into its own with his sharp storytelling mythos blends seamlessly with great dialogue and character growth. 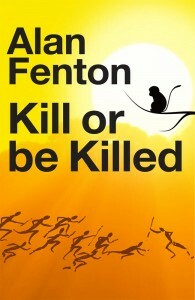 A real joy to read and of course, something that really will hopefully allow Alan to meet a larger audience. Myths that surround mid-Somerset take centre-stage in a new two-book series revisiting the Arthurian Legends. 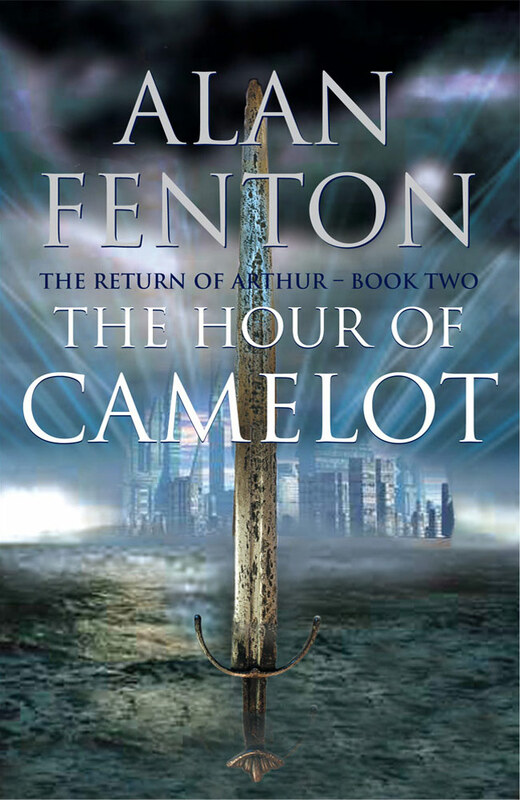 But this time instead of Arthur being set in the times of Sir Thomas Malory’s medieval book, the author Alan Fenton has chosen to play out the tale against the backdrop of the 21st century. 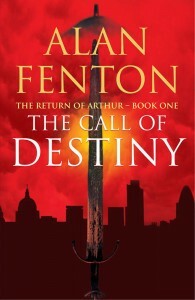 The Return of Arthurs is split into two volumes: book ones if The Call of Destiny and book two is The Hour of Camelot. The call of Destiny opens on the summit of Glastonbury Tor with a Merlin-like character mentoring a little boy called Arthur. It begins in London in 1994 and the story starts with the conception of Arthur. The Arthurian legend then unravels through the book, but set in the world of politics, intrigue and, unlimitedly, global terrorism. The second volume is set in the future on the island of Camelot, the base from which Arthur and his 21st century knights launch attacks on the dark forces that threaten the planet. This raised compelling questions. In this dangerous age, do we not need a hero such as Arthur, someone with courage, conviction and honour? And how would such a man tackle the complex problems and issues of today’s troubled times? “Arthur is probably the most famous of all mythological heroes. If he were born again, as Thomas Malory prophesised, what sort of man would he be? Soldier? Adventurer? Statesman? Politician? And what would he do in our 21st century world? Would he have a son by his half-sister, Margot (Morgause?) And would that son, Mordred, plot to overthrow him? Would Lancelot, Arthur’s closets friend, betray him? Would there be a Camelot? A Round Table? Would Arthur accept what Merlin says is his destiny – to try and save mankind from the forces of darkness, as once he tried to save Britain from the marauding Saxons? And if he did, would he succeed? What would happen to Merlin? To Lancelot and Guinevere? Would Galahad find the Holy Grail?